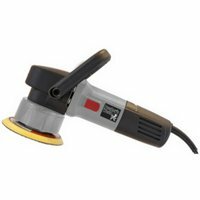 The Poorboys World Dual Action Polishing Machine is designed to be used with their full range of polishes, swirl removers, waxes and sealants, but is equally at home with other products. This 900W Dual Action Polishing Machine is ideal for car enthusiasts and professionals alike. The machine makes light work of swirl marks and scratches to give much better results than polishing by hand. It can also be used to apply any of your favourite Waxes, Glazes or Sealants. This versatile polishing machine comes with a full years warranty and is fully CE Marked. Please note that pads and polish are not included and will be required in order to cut or polish paintwork.